Congratulations to Dr. Richard H. Moss, a scientist working at Pacific Northwest National Laboratory's Joint Global Change Research Institute (JGCRI), appointed to chair the 15-member Advisory Committee for the Sustained National Climate Assessment announced by the National Oceanic and Atmospheric Administration June 29th. With extensive experience in science assessments, Moss has also served as Director of the Office of the U.S. Global Change Research Program, been a member of the executive committee and author of prior national climate assessments, and has served as technical support director for the Intergovernmental Panel on Climate Change. The advisory committee will provide advice to the government on assessment strategies that will offer a broader range of climate science products for state and local authorities, businesses, and non-governmental organizations. The objective of the sustained National Climate Assessment is to make scientific information more helpful to stakeholders, making available a wide range of scenarios, observed data, maps, technical guidelines, and other materials that stakeholders can use in their own evaluations and decision making. "We're taking a new approach. The committee will advise government on making assessments more interactive for users," said Moss. "Climate science is more relevant and credible if the process is about more than large reports every four years." 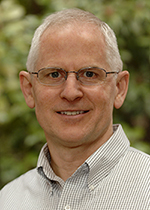 Read more about this appointment in the PNNL news release, "PNNL's Richard Moss to help guide new phase of US National Climate Assessment." A decision-support scientist working at JGCRI, a partnership between PNNL and the University of Maryland, Moss's research focuses on development and use of scenarios; vulnerability, adaptation and resilience to global environmental change; and decision support science-data-driven analysis of use of science in applications. Moss has authored and edited scores of reports, assessments and research papers on the intersections of climate and environmental phenomena. Moss is a Fellow of the American Association for the Advancement of Science and the Aldo Leopold Leadership Program, and received the Department of Energy's Distinguished Associate award. He holds a Ph.D. from Princeton University in public and international affairs. In one sentence: Richard H. Moss, PNNL decision-support scientist working at the Joint Global Change Research Institute in Maryland, was appointed chair of the 15-member Advisory Committee for the Sustained National Climate Assessment.